Pittsburg Community Schools is committed to preparing students for the world past graduation day. Another way it meets that commitment is by preparing students for careers through its career pathways program and involvement with the Career and Technical Education Center of Southeast Kansas (CTEC). For Pittsburg High School sophomore Will Jameson, educational opportunities like carpentry classes through CTEC are giving him advanced skills before stepping into the workforce after high school. CTEC is a public-private partnership which addresses the need for trades workers and provides certificate programs for high school and post-secondary students to fill those needs. CTEC courses for high school students are for dual credit, which gives them college credit at no cost. 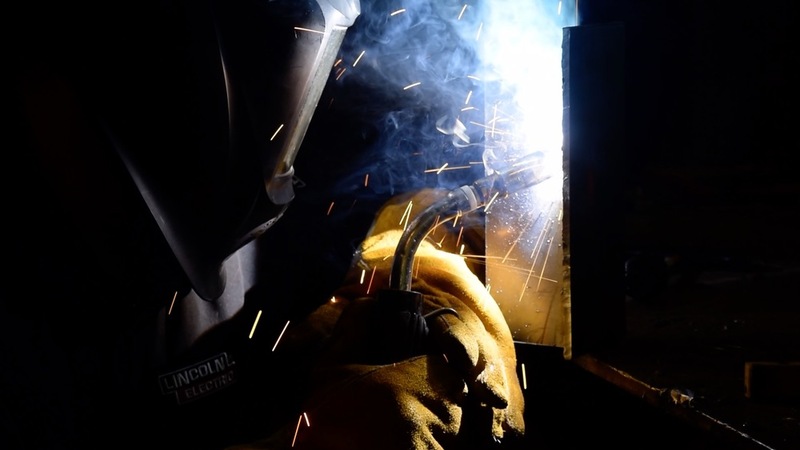 Jameson said in addition to being able to receive the certification after two years of classes, he has an increased work ethic because of the CTEC; something that is in high-demand especially when it comes to trades work. "It gives me a head start so I can move forward with my career a lot faster," Jameson said. "It teaches character, I think, and hard work skills." He began working with instructor Kim Coates last summer and said that experience helped him decide to go into carpentry. Coates said his students are born in a lucky time because companies are looking for workers with a great work ethic. "If you've got the drive and you want to be there, that's what the companies are looking for and they're not finding enough of it," Coates said. "The kids who have a lot of drive and they want to do something, the sky's the limit." Kris Mengarelli, executive director of CTEC, said having a good selection of courses is important and finding that niche is a great opportunity for students. "Many students don't want four more years of school right after they graduate," Mengarelli said. "So any opportunity we provide for them to get their hands dirty, learn a trade, and earn a certificate gets them into a better paying job after high school and then they can spend some time deciding how they want to further their education." Students coming out of the CTEC program are receiving gainful employment and filling many jobs that are in high demand. "I will have already learned a trade in masonry," said Coltin Oehme, senior at PHS. "I will be able to get a job and make a lot more money than your average person just getting out of high school." Learning a trade through the CTEC doesn’t mean a student won’t pursue a college degree. For example, Oehme plans to continue to work in masonry right after high school, but also expand his education with a degree in business administration. In addition to the CTEC, PHS students can also experience career and technical education possibilities with courses that lead to a variety of "pathways". Tatum VonWinklepleck, a senior, is in the Education and Training Career Pathway. She plans to become an elementary teacher. She said the classes she's taken have prepared her for college and what to expect from her education courses. "Learning about how children develop and go through life will help with learning how to teach them," she said. "There's another class that I am in; Teaching as a Career, and it's like that class is helping me develop skills for when I will become a teacher." "It's going to affect these kids no matter what career they do choose, whether it is in human services or education or early childhood or not," Krystal Henderson, Family and Consumer Sciences teacher said. "They're going to use these skills that they acquire for the rest of their life."